Monday, remains the busiest day of the week in terms of hits received. This is a an ideal time for estate agents to capture some valuable web enquiries by making sure that new properties are loaded and available for viewing from as early as 7am on a Monday for visitors. Many agents are still, and have in the past, reported how deals have been concluded from property listings loaded on a Sunday or early on a Monday morning with enquiries received soon after the properties became available on the Internet. This then also seems as the most critical time for estate agents to be available - both telephonic and electronically through email. Respond to enquiries as soon as you can and you may soon have some sealed deals. While South African visitors make up for the bulk of hits received on MyProperty, the United Kingdom provides a massive 11.33% of visitors followed by the USA, Australia, Netherlands, Germany, Canada, Ireland, Namibia and Switzerland. Globalisation, one of the major real estate trends worldwide, seems to be evident looking at the Geo Location statistics available for January, with intense interest in South African property from Europe. People are finding it easier by the day buying holiday homes overseas, relocating permanently or buying property for investment purposes. South African estate agents can capitalise on this by making sure all there properties can be found through major search engines like Google, MSN and Yahoo. Typing in a keyword such as 'property south africa' or 'property your area' (e.g. property roodepoort'), should link visitors to your website or a property portal such as MyProperty. Looking at Browser versions, Internet Explorer remains the most favourite by visitors to the MyProperty South Africa portal taking about 92% of the hits. Firefox follows with about 7% of the hits, which is a slight improvement on previous months. 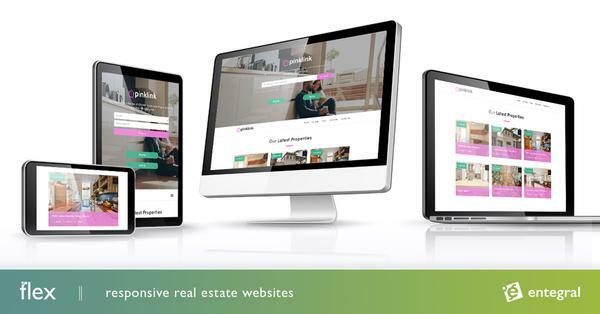 Public websites should cater for multiple browser support (as not to eliminate any potential buyers/sellers) with MyProperty's property search engine currently being reworked to cater for all the major Internet browser versions. NAR, The US National Association of Realtors, report 77% of home buyers now starting their property search on the Internet. With the ever increasing in searches performed on the MyProperty site, estate agents should shift their attention (and marketing budget) to Internet advertising. Many Estate Agents we speak to report excellent results through Internet advertising, with some even moving their entire marketing budgets to Internet marketing. A single ad in a prominent weekend property publication will in most cases pay for your online advertising for a whole year on a website such as MyProperty. The era of the 'online agent' is here.....Entegral as a focused Real Estate Internet Technology company, is excited to be part of the revolution.